Jewellery box is an essential component of a woman's make up kit. The usual shape is rectangular, but the box sometimes square too. These jewellery boxes are also used to keep valuables in, and are some times beautifully painted, carved or inlaid with motifs. A variety of floral patterns, human figures, and architectural boat and cart motifs have been used to embellish Jewellery boxes, employing the techniques of enamel painting, repousse or engraving, and golden wire inlay work. 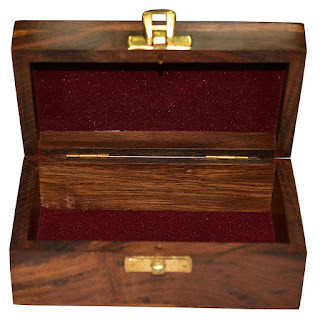 Next time when you make a Jewellery gift to your near and dear ones, put the Jewellery in these Jewellery boxes. You would have made a memorable gift.